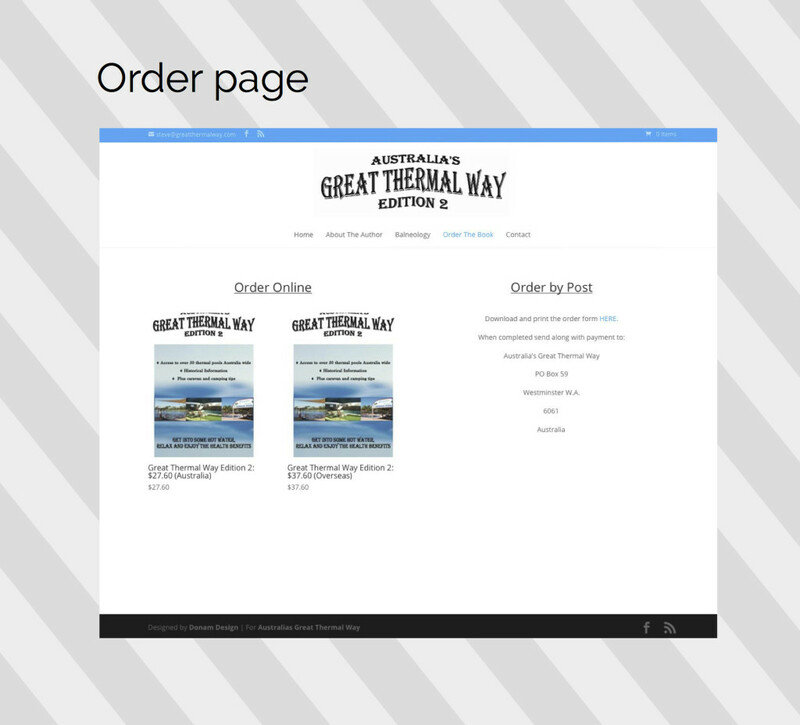 Steve Lambert wanted to sell is book ‘Australia’s Great Thermal Way’ online and we designed him a website to sell his book online. 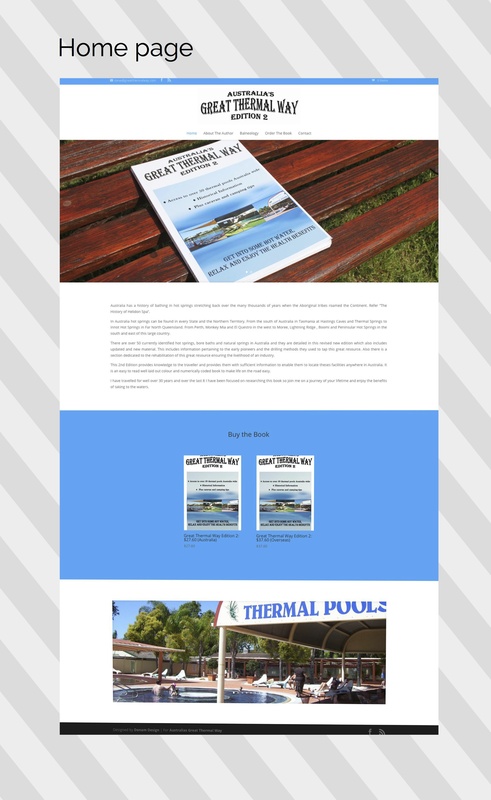 Australia’s Great Thermal Way is a guide book to thermal pools and hot springs in Australia covering the whole country. The website needed to allow online sales via Paypal so that Steve could get a notification via email when a sale took place, and then dispatch the book to the delivery address. We used his existing colour scheme of blue and white to make a clean easy to navigate website that can be viewed on smartphones, tablets and computers alike. As with all our websites SEO (search engine optimization) is a cornerstone of the way we make a website, so that the clients site can be found on search engines with ease. Greatthermalway.com ranks on page 1 between positions 1-3 (right at the top of the Google search page) for search terms like ‘thermal springs book Australia’ and ‘hot springs book Australia’. Its consistent SEO results like this combined with clean modern websites that make us, and more importantly our clients very happy.